Soon after the name of the new elected Tibetan Prime Minister was announced and as Lobsang Sangay pledged to be more active on the Tibetan front, the Communist government in Beijing once more demonstrated how hard it works to prepare the post-Dalai Lama era. One of the modus operandi of the Communist regime is to flood the media with information showing that the Communist Party is a great supporter of ‘pure’ Buddhism. Of course, ‘pure’ means, a Buddhism non-contaminated by what China calls the ‘Dalai’s Clique’. The Communist government, through the Buddhist Association of China (BAC) has awarded certificates of ‘Living Buddhas’ (or reincarnated lamas or tulkus) to over 1,300 chosen individuals. I have already written about Fake Lamas, Communist Lamas. The biographical details of these Living Communist Buddhas should help the followers of Buddhism in the Mainland to check their authenticity, says Xinhua. A few months ago, the BAC had released a first list of 870 ‘selected’ ones. At that time, the BAC had argued that the growing number of frauds was a problem as a number of 'fake lamas' were trying to cheat the Buddhist followers. The list was intended to tackle this issue. However the main purpose of the exercise is obviously to keep the Dalai Lama and other high lamas in exile, out of the ‘holy’ list. The Dalai Lama did not make it. The Guidelines say that it is the Party who decides who is a reincarnation and who is not. According to the BAC, these sites receive an average of 98,000 hits per day. It shows that China is interested by Buddhism. Isn’t it? 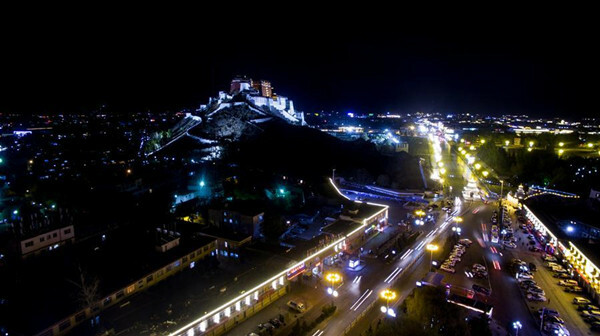 The 441 lucky new entrants are mainly from Sichuan Province, while the first 870 were from Tibet, Yunnan, Gansu, Qinghai, Inner Mongolia, Xinjiang and Liaoning. Beijing will probably be the first to enter the name and details of the 15th Dalai Lama; it will obviously be Beijing’s own choice …a reincarnation with Chinese characteristics. Let us hope that Dharamsala will react and publish a White Paper on the issue. I have often written about the dual use of the infrastructure in China (and particularly on the Tibetan plateau). 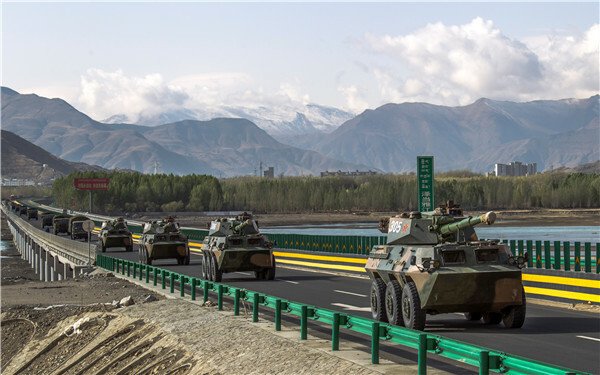 Yesterday, Xinhua reported that during their bi-monthly session, the Standing Committee of the National People's Congress (NPC) discussed a new law on national defense transport. The legislation will cover the use of railways, waterways and air routes for defense purposes as well as civilian purposes. The idea is to integrate military and civilian resources and make sure that the national defense transport network is compatible “with market and economic development”. 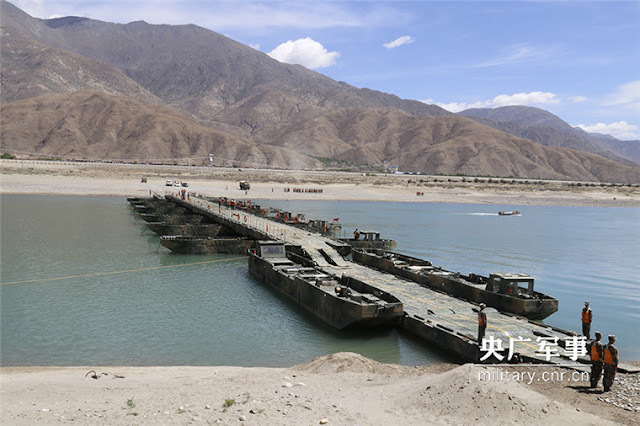 It is what Zhao Keshi, head of the Logistical Support Department of the Central Military Commission, told the legislators. A national authority will be formed with the objective of “overseeing the national defense transport network”. The main players will be the local governments, military departments and more importantly, the newly-created Theater Commands. They will be jointly responsible to implement the new law. 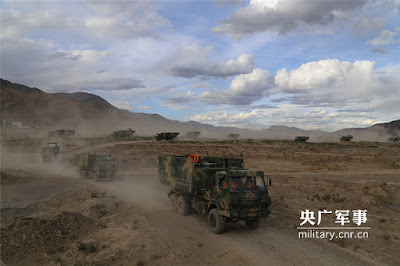 And when the needs occurred, civilian transport vehicles and facilities will be pressed into service by the PLA. 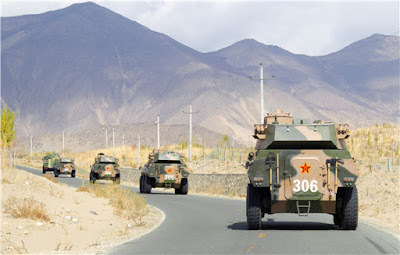 The concept behind the new law is that the national defense transport should consider the needs of both peace and war times and vice-versa, when the civilian departments plan for a new infrastructure it should be usable by the PLA. Interestingly, the national defense considerations will include in any technical standards and codes for transport facilities and equipments. China should be setting up “a strategic projection support force to facilitate efficient organization of long-distance and large-scale national defense transport”. Though the draft law says that “the expenses for defense transportation missions should be born by their users and the criteria should not be lower than the market price,” it is not clear who will pay the bill as both the PLA and the civilian administration are the ‘users’. 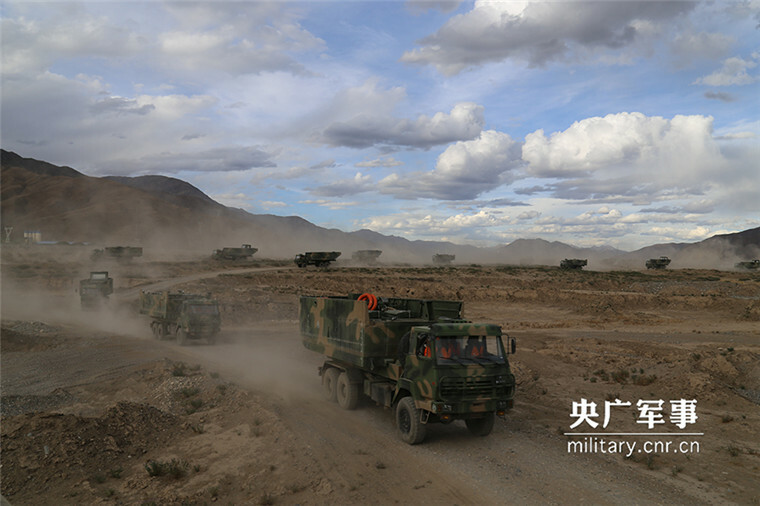 A Joint Command Organization for national defense transport will be set up in wartime or under special circumstances of peacetime, such as armed conflicts that endanger national sovereignty, says the draft. The Joint Command will have large powers such as coordination of national or regional resources, organization transport operations, repairs and protection of transport infrastructure and facilities, etc. Those who embezzle defense transport funds or whose dereliction of duty results in severe losses should beware, they shall be punished "in accordance with laws." 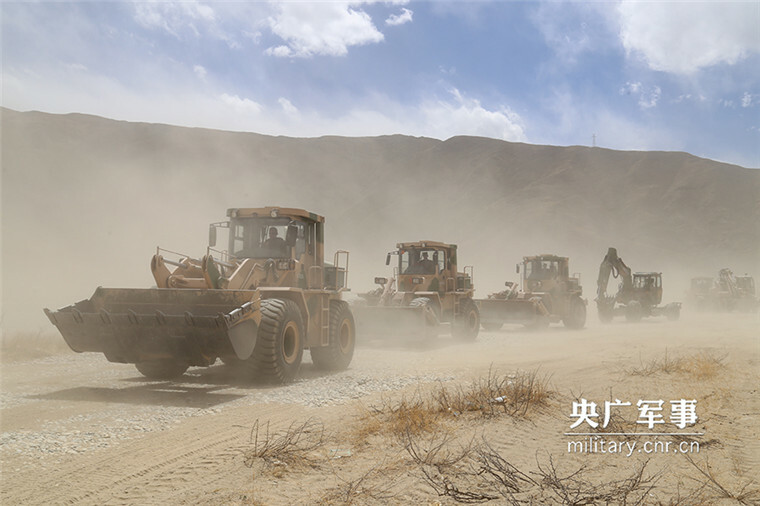 With the creation of the Western Theater Command, regrouping all the units on the Tibetan Plateau (earlier the plateau depended on two Military Regions, namely Chengdu and Lanzhou), the coordination and management of the infrastructure on the ‘Indian’ front should be much easier and more efficient for the PLA. And course, the infrastructure built for the Disneyland of Snows can be used in an official and regulated manner by the PLA, People's Armed Police Force (PAPF) and other border forces units. What was the need for Xi Jinping, General Secretary of the Chinese Communist Party, President of the People's Republic of China and Chairman, Central Military Commission, to don the new role of Commander in-Chief? Does this mean that the most powerful Chinese leader since Mao faces numerous threats from within the Communist Party? Claude Arpi decodes the signals coming from Beijing. Xi Jinping appears to be more and more the lonely man of China. 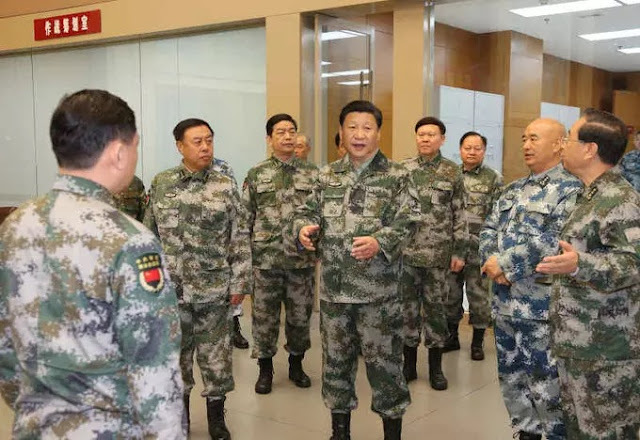 His latest move to nominate himself as Commander-in-Chief of the People's Liberation Army's Joint Battle Command, while appearing on State media in a camouflage uniform, displays growing insecurity at the top. Why does Xi need put on another hat when he is already Chairman of the all-powerful Central Military Commission? Simply because he may not be fully in control of the CMC. It is true that the PLA 'reforms' are extremely ambitious and changing an ingrained corrupt system is not easy, in China or elsewhere. To add to the Chinese president's woes, the Panama Papers named his brother-in-law, who is said to have established some offshore firms. Though these companies went dormant before Xi came into power, the damage was done: For the International Consortium of Investigative Journalists who investigated the Panama-based law firm Mossack Fonseca, Xi's name is indirectly linked. Already in June 2012, The New York Times and Bloomberg had exposed Xi's family: 'As Xi climbed the Communist Party ranks, his extended family expanded their business interests to include minerals, real estate and mobile-phone equipment,' Bloomberg noted. Probably more worrisome for Xi, the Middle Kingdom is sailing through rough weather and in the months to come, we may witness fireworks in the Chinese Communist Party. The Nikkei in Japan reported a verbal 'jab' between Xi and Yu Zhengsheng, the chairman of the Chinese People's Political Consultative Conference during the recently concluded Two Sessions at the Great Hall of the People in Beijing. During the 19th Congress to be held in November 2017, five of the seven members of the Politburo Standing Committee -- the highest body in the Chinese Communist Party -- are expected to retire. Does it mean that everything is not harmonious in the Land of Confucius? On March 14 during the concluding session of the Chinese People's Political Consultative Conference, Yu Zhengsheng, who is also a member of the Politburo Standing Committee, had apparently fired the first shots at Xi. Yu spoke of only three: The need to further enhance the consciousness of politics, the consciousness of the bigger picture and the consciousness of responsibility. What about the 'consciousness of the core and the consciousness of consistency' (in following 'the core leader')? In his opening speech on March 3, Yu spoke of the differences of views and perceptions which can arise over specific issues and stressed the need to seek 'consistency', while respecting 'diversity.' What 'diversity'? Yu left it undefined. Yu also looks after the United Front Department, whose role is to 'unite' the Party. He is also in charge of Tibet and Xinjiang, China's most restive provinces. It blamed Xi for many negative events in China and asked him to step down. It was, of course, quickly removed from the Wujie website. Wujie claimed that the article had been posted by a hacker. Wujie is a joint venture of the SEEC Media Group Limited (the parent company of Caixing magazine), the Xinjiang government and Jack Ma's Alibaba Group. Was it the act of a hacker? With Alibaba hosting the site, it is considered the safest hosting service in China. So what happened? Could Wujie have published the letter on its own? Difficult to say, but the website was subsequently shut down for several days. Obviously, Xi does not have only friends and comrades in the Communist Party. For the Mingjing, a weekly magazine, some 171 Communist Party members had signed the letter which was later removed from Mingjing' website, though it continued to be on some Chinese blogs. The petition alleged that Xi had committed five categories of crimes and demanded his immediate dismissal. Party members were asked to vote for a new leader at the 19th Congress in November 2017. Should all this be taken seriously? The speed with which the letters were removed seems to indicate that Beijing takes it seriously. Very few observers are, however, ready to criticise him; most of them want to protect their own interests or their opportunity to work in China. Last year, another renowned American 'China hand' David Shambaugh published an article 'The Coming Chinese Crackup' in The Wall Street Journal, in which the scholar mentioned his worries for Xi's regime. On March 1, he backtracked in The Global Times. Beijing knows how to twist its friends' arms. Many 'watchers' will follow Shambaugh's footsteps, but the point remains that China is nervous and shaky. A few weeks ago, former culture minister Wang Meng argued that the party and Chinese intellectuals had a responsibility to 'further explain' the campaign. Now The Global Times says: 'If China brings up a wave of reflections and discussions (on the Cultural Revolution) as wished by some, the established political consensus will be jeopardised and turbulence in ideas may occur.' It warned those using the Cultural Revolution by linking it to current issues and those who predict that the Cultural Revolution can return. 'From smog-blanketed towns on the North China Plain to the politically sensitive Tibetan capital of Lhasa, small police booths and networks of citizens have been set up block by block to reduce neighbourhood disputes, enforce sanitation, reduce crime -- and keep an eye on anyone deemed a troublemaker,' the newspaper explained. If you don't agree, you may be labeled a 'troublemaker.' Be ready to pay the consequences. Xi Jinping seems very lonely on the rarefied summit of Zhongnanhai, the secretive seat of the Communist Party of China. How long he can survive alone is a serious question. My article 'We must go from words to deeds': The world must unite and sign global climate deal says UN secretary-general Ban Ki-moon has been published in Mail Today. UN secretary-general Ban Ki-moon will request world leaders to sign Paris Agreement on climate change. 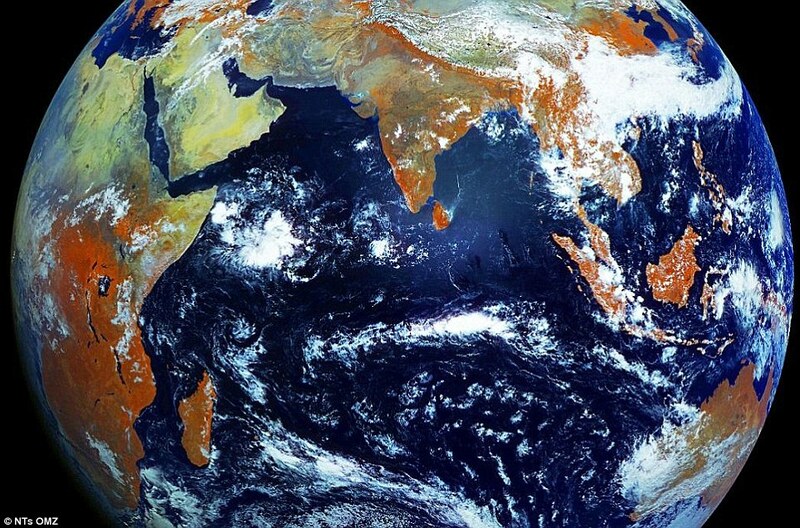 April 22 is World Earth Day. On the occasion, UN secretary-general Ban Ki-moon will request world leaders sign the Paris Agreement on climate change at the UN Headquarters in New York. After the historic agreement adopted by 195 countries at COP21 Conference in Paris in December, the next step is the signature of the first-ever universal, legally binding global climate deal. The Signature Ceremony will be the opportunity for each government to start implementing the Paris Agreement and hopefully save the Planet. But don’t clap too early. At the behest of the United States, the World Trade Organisation (WTO) may derail India’s ambitious solar power programme. Responding to a US complaint, a WTO dispute panel recently ruled that several provisions of India’s National Solar Mission were ‘inconsistent’ with international trade norms. In 2011, the Congress government plans 100 gigawatts of solar capacity by 2022 under this scheme; it was a way to actively participate in the world effort to slowdown climate change; the scheme envisaged that a large percentage of the cells and panels would be manufactured in India by local companies. Unfortunately, such provisions, known as ‘domestic content requirements’ (DCR), are prohibited by the WTO under international trade agreements. With 300 million Indians without access to electricity, the Solar Mission was a win-win project with a dual objective: combat poverty via job creation and add to India’s solar capacity. But the US manufacturers do not see it from this angle. For them, the scheme led to a 90 per cent decrease in its solar exports to India since the inception of the mission. Though resolutely opposed by several US environmental groups, the US manufacturers filed a WTO complaint. In August 2015, a WTO panel released a preliminary ruling against the Indian DCR’s requirements, and early 2016, the ‘final’ ruling was announced. At the end, business is business, and for the US corporate world, the change of climate can go with the wind, money is its first and last concern. Ben Beachy, Senior Policy Advisor, Responsible Trade Program, Sierra Club, said in an Huffington Post report: “Bringing this case is a perverse move for the United States. Nearly half of the US has renewable energy programmes that, like India’s solar programme, include ‘buy-local’ rules that create local, green jobs and bring new solar entrepreneurs to the economy. It is doubtful if Obama is ready to take on corporate America during an election year. In the meantime, the Government of India has announced that it will appeal against the WTO verdict. My article Of a strong man and a beautiful woman appeared in the Edit Page of The Pioneer. As Defence Minister Manohar Parrikar arrived in Beijing on a four-day visit, The Global Times asserted: “India would like to continue to be the most beautiful woman wooed by all men, notably the two strongest in the house, US and China.” The mouthpiece of the Communist Party was particularly referring to the Logistics Support Agreement, signed when the US Defence Secretary Ashton Carter came to Delhi a few days earlier. Well, it is doubtful if Beijing will fall in an Indian honey trap during the Defence Minister’s visit and agree to some of the Indian demands. Apart from the usual requests, such as China providing maps of their perception of the Line of Control, the difficult situation of the border populations in Ladakh should be taken up. Let me explain. While the number of Chinese intrusions across the LAC is slightly less due to the mechanisms put in place between Delhi and Beijing, the Chinese refuse the ‘permission’ to the villagers in the Demchok area to undertake basic work on the Indian side of the border. 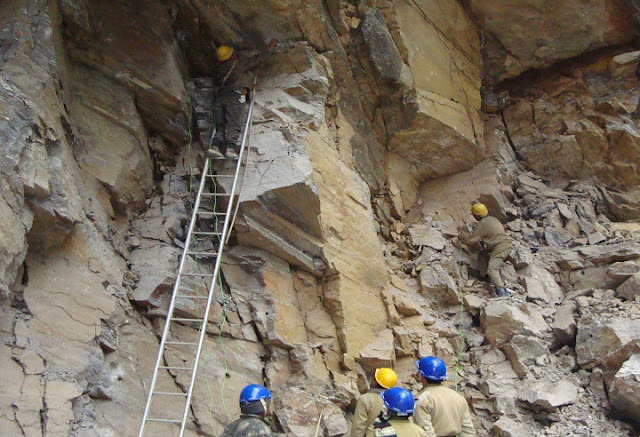 On April 8, the Scientific Advisory Committee from Nyoma tried to pacify the inhabitants of the 39 households in Demchok who refused to end their dharna; later a delegation approached Prasanna Ramaswamy, the Deputy Commissioner in Leh, demanding to be shifted; the People’s Liberation Army had raised some objection over the villagers laying a pipe line from a hot spring for drinking water. The residents of Demchok listed several instances, when the PLA stopped them to undertake developmental work. 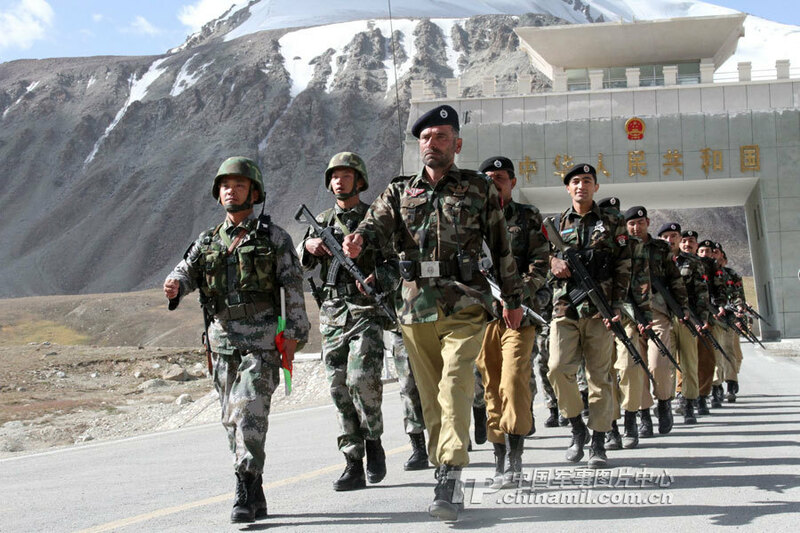 On their side of the nallah, which for centuries marked the border, the Chinese do not face any Indian objections. In the last couple of years, Beijing has invested millions of yuans to develop the area along the Indus river from Tashigong, the first Tibetan village, to a place they call ‘Dian-jiao’ (the Chinese pronunciation for Demchok). They have even roped in the Shaanxi Province which provides the necessary funds for development. New buildings (particularly guest houses) can clearly be seen from the Indian side. Though Demchok has been the first Ladakhi village since immemorial times, during the negotiations for the Panchsheel Agreement in 1954, China refused to acknowledge this. Due to China’s reticence to recognise Demchok, the talks went on for four months (from December 1953 to April 1954), instead of the expected three or four weeks. The main Chinese objection was mentioning Demchok on the route to Western Tibet. Demchok was not mentioned. The issue faced by the villagers is the outcome of this formulation. In 1954, instead of using the opportunity to clarify the already contentious border issue, the Chinese were allowed to walk away with a vague statement which opened the door for future contestations. Already then, the ‘beautiful Indian woman’ was unable to woo the tough Chinese negotiators. It may not be different 62 years later. China has truly a problem with Demchok. Last year, the Chief Executive Councilor of the Ladakh Autonomous Hill Development Council, Rigzin Spalbar wrote to the then Jammu & Kashmir Chief Minister Mufti Mohammed Sayeed to request him to take up with Delhi the re-opening of the Kailash-Manasarovar route via Demchok. A few months earlier, President Xi Jinping had ‘generously’ offered (as a ‘political gesture’) to open a new route, via Nathu la in Sikkim, for Indian pilgrims wanting to go on the yatra. The Indian Press clapped. It is true that for those who were unaware of the topography of the Himalayas, the Chinese offer to open Nathu-la seemed reasonable. 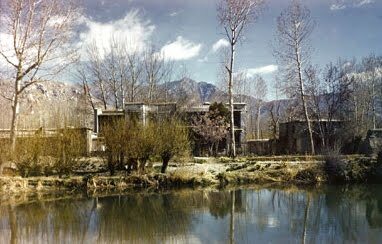 In his letter to Sayeed, Spalbar, after mentioning the historical background of Demchok, which till 1954, was used by most of the Indian pilgrims wanting to go on pilgrimage to the Kailash, also suggested re-opening the route; the Holy Lake and Sacred Mountain are located at a mere two-day drive from Leh and the route is relatively easy as it does not encounter any major pass. But here too the Chinese are not ready to be wooed. Will Mr Parrikar’s visit be a success? Perhaps one or two Border Personnel Meeting points may be agreed upon, which is good; Demchok, however, will not be in the list. Perhaps the Joint Tactical Exercise held for the first time last year between the troops of both countries in the Chushul-Moldo area will be repeated on a larger scale. Great! And in a few months time, a hotline may be established between the two military headquarters as part of an effort to improve border management. This however will not solve more serious issues such as Demchok. It may be left to the National Security Advisor and Special Reprehensive for the border Ajit Doval to raise the issues with his counterpart State Councillor Yang Jiechi. Will Yang be charmed by the NSA and agree to release the tension on Demchok? This will be a meaningful confidence-building measure, but is the ‘strong boy’ interested to please the ‘beautiful woman’? My article A road to the border appeared in Asian Age/Deccan Chronicle. Can we dream that one day the Tsari pilgrimage will again be possible? 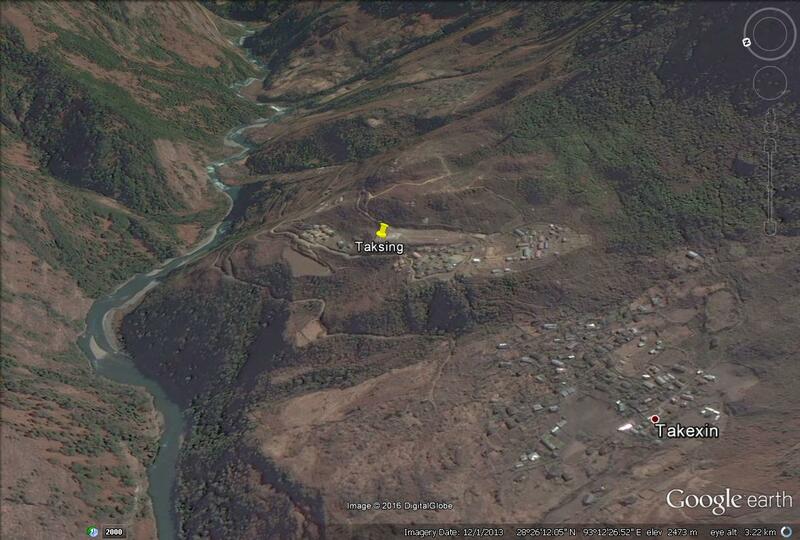 It should also be mentioned that Taksing was the last Indian village on the Tsari Pilgrimage. In India, for any editor, there is a hierarchy in the news; I presume that the same is true the world over. This week the “royal visit” made it to the front page. It is normal; India is still sentimentally attached to “her” royals. Cricket is a must, the Panama Papers and, rightly, the tragedy in Kerala. However, a seemingly insignificant news, hardly reported in the national media, may have critical strategic implications for the country. One can easily understand why it has not made the titles. It occurred in a place where hardly any babu, politician or even journalist sets foot — in a remote, tiny “camp” of the Upper Subanisiri district of Arunachal Pradesh, near the frontier with China (Tibet). On April 6, the engineers of the Border Roads Organisation (BRO) managed to open a new road connecting Tame Chung Chung and Nacho. The inhabitants living in the vicinity of Tame Chung Chung (locally known as The Land of Snakes), had dreamed of this road for decades, but like many other things for the border population, it had remained a dream until now. The BRO explains the feat: “The area is located in an extremely remote area with rugged terrains, thick vegetation and inhospitable weather. 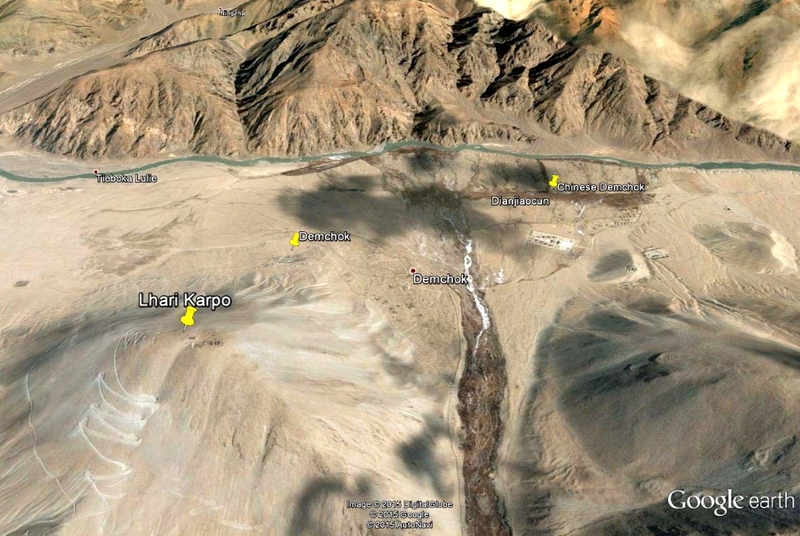 The place has remained inaccessible since 2009.” In fact, the road was to be opened in 2009, but …India is not China. Around the same time, the Times of India (ToI) remarked: “Both armies undertake regular patrols to lay claim to 8-10 disputed areas like Asaphila, a remote 100 sq km.” PLA’s “heightened activity” had been witnessed in Asaphila area for months. 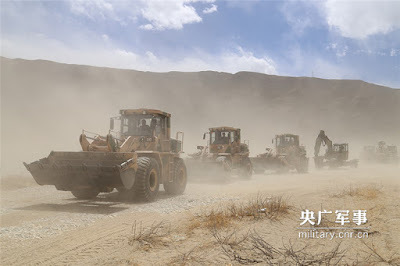 “The PLA troops, with vehicles and other equipment, then tried to build a road till Point 2445. They were then stopped from doing so by our soldiers,” a source told the ToI. Some Tagin villagers had even managed to shoot a short video on their phones of the PLA “visiting” their village. The last Indian military outpost before the border is still some 40 km away from the newly-opened section, but the construction will hopefully be easier. Due to the exceptionally hard rock and treacherous terrain, this portion of the road took many more years than expected. Taksin. 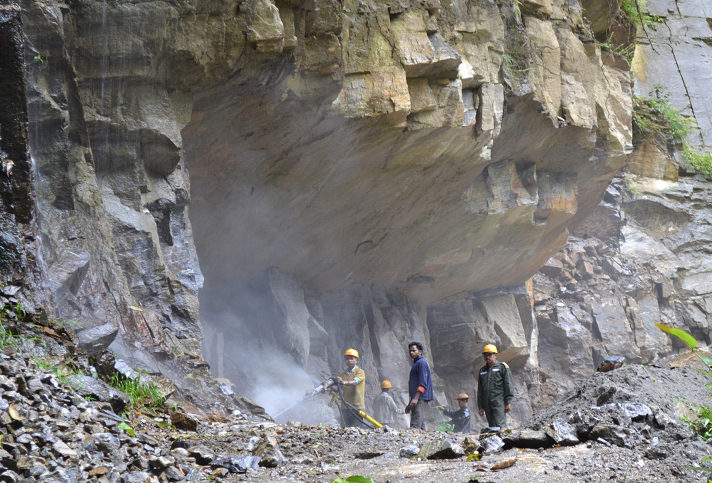 Tame Chung Chung is situated near the confluence of Subansiri and Tsari Chu river valleys: “(it) acts as a gateway to both the valleys and its connectivity was essential for further development of the area,” says the BRO statement, which admits that a large number of personnel suffered severe injuries during the construction work and equipment worth crores of rupees was lost in landslides. Should India not congratulate the 128 Road Construction Company of the 23 Border Roads Task Force (Project Arunank) for accomplishing this herculean task? Have the Central and Arunachal authorities finally decided to undertake the construction of roads in border areas on a “war-footing”? Capt. 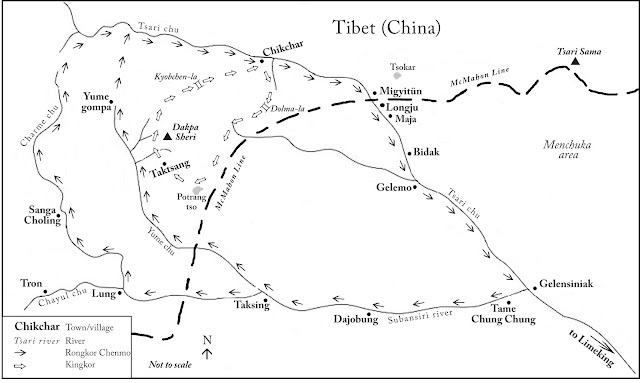 Sailo’s conclusions were clear: “The urgency and importance of constructing roads from Daporijo to the border settlements of Lower Na (Taksing) and Migytun (Maja) cannot be over-emphasised.” Very little was done during the next 55 years —a real tragedy for India and the border populations. It should also be mentioned that Taksing was the last Indian village on the Tsari Pilgrimage, one of the holiest of the Roof of the World, around the Dakpa Sheri (Cristal Mountain). Tibetan pilgrims used to perform the parikrama, the sacred Rongkor, every 12 years during the Monkey-Fire Year. 1956, a Monkey-Fire year, witnessed the last Tsari pilgrimage. 2016 is also a Monkey-Fire year. 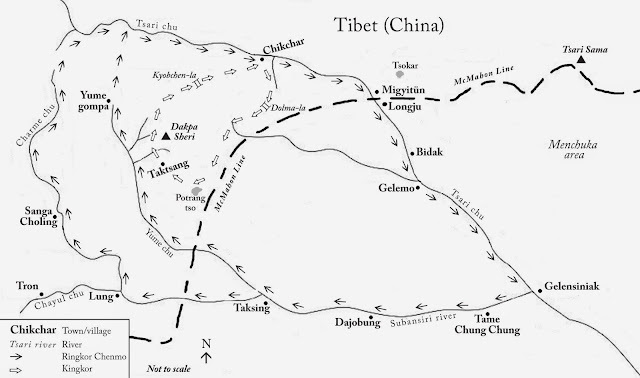 The particularity of the pilgrimage was that, while the northern part was in Tibet, the southern leg crossed into India, through the jungles of Upper Subansari district. After entering into Indian territory (by crossing the McMahon Line), the pilgrims would proceed southwards along the Tsari Chu, take a turn westwards near the confluence of the Subansiri at Gelensiniak, (the headway of the newly-constructed road) and then follow the Subansiri upstream, to finally cross back into Tibet. Can we dream that one day the Tsari pilgrimage will again be possible? Even the temporary reopening of the border for the parikrama would be a great confidence building measure between India and China. Even if one has to wait 12 more years, it is worth it. In the meantime, the new road will greatly help to strengthen India’s defence in the area. Xi Jinping seems more and more the lonely man of China. It is perhaps what happens when one reaches the top alone. To add to the Chinese President’s woes, the ‘Panama Papers’ named his brother-in-law, who is said to have established some offshore firms. Though these companies went dormant before Xi came into power, the damage was done: for the International Consortium of Investigative Journaliste (ICIJ) who investigated into the Panama-based law firm Mossack Fonseca, Xi’s name is indirectly linked. Already in June 2012, The New Your Times and Bloomberg had exposed Xi’s family: “As Xi climbed the Communist Party ranks, his extended family expanded their business interests to include minerals, real estate and mobile-phone equipment,” wrote Bloomberg. Probably more worrisome for Xi, the Middle Kingdom is sailing through rough weather and in the months to come, we may witness fireworks in the Party. The Nikkei in Japan reported a verbal ‘jab’ between President Xi Jinping and Yu Zhengsheng, the Chairman of the Chinese People's Political Consultative Conference (CPPCC) during the recently-concluded Two Sessions at the Great Hall of the People in Beijing. During the 19th Congress to be held in November next year, five of the seven members of the Politburo Standing Committee, are expected to retire. On March 14 during the concluding session of the CPPCC, Yu Zhengsheng, also a member of the Politburo’s Standing Committee, had apparently fired the first shots at Xi. During his concluding remarks, Yu dared to deviate from the official line: the Communist leadership had agreed to uphold ‘Four Consciousnesses’ related to “politics, the bigger picture, the core and consistency”. Yu spoke of only three: i.e. the need to further enhance the consciousness of politics, the consciousness of the bigger picture and the consciousness of responsibility. What about the ‘consciousness of the ‘core’ and the consciousness of ‘consistency’ (in following ‘the core leader’)? Observers believe that Yu showed his disagreement with Xi when he brought up a ‘new consciousness’, that of ‘responsibility’ and omitted ‘the core’. In his opening speech on March 3, Yu spoke of the differences of views and perceptions which can arise over specific issues and he had stressed the need to seek ‘consistency’, while respecting ‘diversity’. What ‘diversity’ mean? He left it undefined. Incidentally, Yu also looks after the United Front Department, whose role is to ‘unite’ the Party; he is also in charge of Tibet and Xinjiang affairs. It blamed Xi Jinping for many negative events in China and asked him to step down. It was of course quickly removed from the Wujie website. Wujie is a joint venture of the SEEC Media Group Limited (the parent company of Caixing magazine), the Xinjiang Government and Jack Ma’s Alibaba Group. Was it an act of a hacker? Obviously, Xi Jinping does not have only friends and comrades in the Party. For the Mingjing, a weekly magazine, some 171 CPC members had signed the letter which was later removed from the Mingjing’s website, though it continued to be on some Chinese blogs. The petition alleged that Xi had committed five categories of crimes and demanded his immediate dismissal. Party members were asked to vote for a new Party leader at the 19th CCP Congress in November 2017. One could add: his over-ambitious plan to reform the People’s Liberation Army (PLA) has made many unhappy. Whatever it may be, Xi has created (or still creates) a lot of resentment in the ranks and files of the Party (and the PLA); with the concentration all the powers with him, he has become the focus of all the attacks, creating a great instability. Very few observers are however ready to criticize him; most of them want to protect their own interests or their opportunity to work in China. Last year, another renowned American ‘China hand’, David Shambaugh had published an article The Coming Chinese Crackup in The Wall Street Journal, in which the scholar mentioned his worries for Xi Jinping’s regime. Beijing knows how to twist its friends’ arms. Now, the US scholar is defending Xi again: “I have stated clearly that anti-corruption is good. I am all for it. It is the right thing to do and the public has received it very well. I give a thumbs up to Xi Jinping and Wang Qishan's anti-corruption fight. Corruption is the cancer that erodes the Party, the government, the economy, and society. It must be taken care of; otherwise it will lead to the downfall of the CPC." 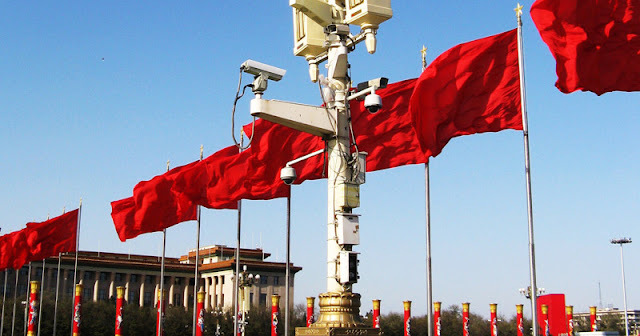 Many ‘watchers’ will follow Shambaugh’s footsteps, but the point remains that China is nervous and shaky. A few weeks ago, a former culture minister Wang Meng, 81 had argued that the party and Chinese intellectuals had a responsibility to ‘further explain’ the campaign. Now The Global Times says: “If China brings up a wave of reflections and discussions on the Cultural Revolution] as wished by some, the established political consensus will be jeopardised and turbulence in ideas may occur. “ It seriously warned those using the Cultural Revolution by linking it to current issues and those who predict that the Cultural Revolution can return. If you don’t agree with Mr Xi, you may be labeled a ‘troublemaker’. Be ready to pay the consequences. It is regrettable that the national media hardly reported an event has the most crucial strategic implications for India. On April 6, the Border Roads Organisation (BRO) opened a new road to one of India's most remote villages, near the frontier with China (Tibet). The Army’s engineers have managed to connect Tame Chung Chung, a remote tiny village in Upper Subanisiri district of Arunachal Pradesh to the rest of the country. A few weeks ago, on this blog, I mentioned the Tsari pilgrimage. The new road follows the old pilgrimage route. The inhabitants of Tame Chung Chung village, locally known as the ‘Land of Snakes’, had dreamed of this road for decades, but like for many other ‘normal’ things, for the border populations it remained a Dream. 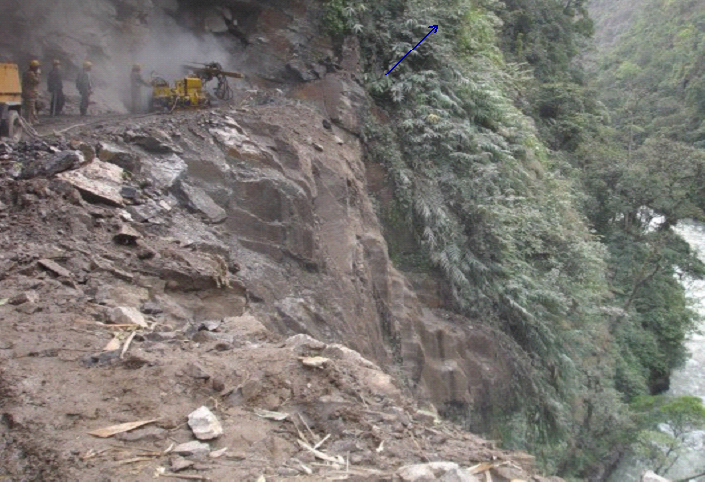 In fact, the road was to be opened in 2009, but ….India is not China. 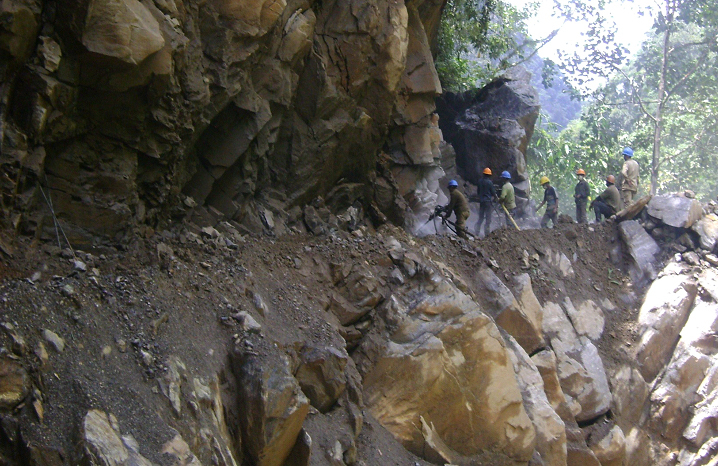 The road comes under Project Arunank, run by the Army in five districts of Arunachal Pradesh: Upper Subansiri, Lower Subansiri, Kurung Kumey, Kra Daadi and Papum Pare. The most difficult route (because of the rough terrain and hard rocks) and strategically important (because the Chinese presence nearby) was the Nacho-Tame Chung Chung section in Upper Subansiri district. 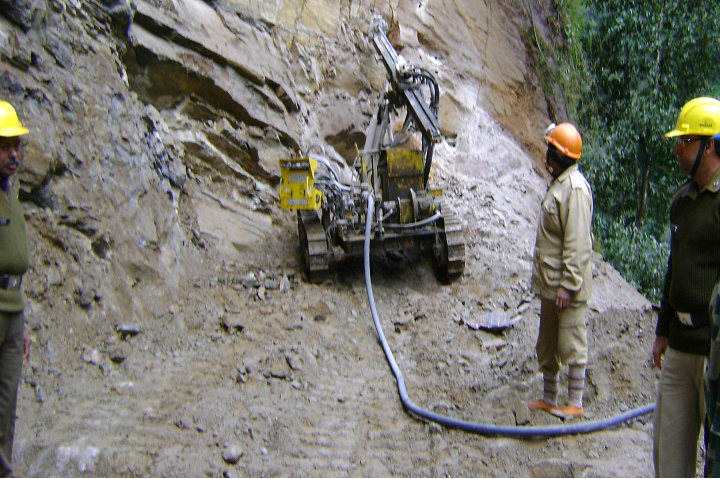 The BRO admitted that a large number of personnel suffered severe injuries during the construction work and equipment worth crores of rupees was lost in landslides. Congratulations to the 128 Road Construction Company of the 23 Border Roads Task Force (Project Arunank) for accomplishing this herculean task, …even if a bit late. Incidentally, two years ago, I mentioned the Chinese incursions which had occurred in the remote circle of Taksing in Upper Subansiri district. The Deccan Chronicle then reported: "After the recent Ladakh incursions, frequent intrusions by China’s People’s Liberation Army (PLA) in Arunachal Pradesh’s Taksing region have come to the notice of the security agencies. The villagers of Taksing circle in Upper Subansiri district took photographs of the PLA crossing over the Asa-Pila-Maya Army camps, which were Indian territory till 1962, but now under Chinese occupation." The new road will hopefully help curbing the intrusions. It is worth quoting a “Report on an Exploratory Tour Undertaken in the Upper Subansiri Area and the Tsari Chu Valley”. The author is Capt L.R. Sailo of the Indian Frontier Administrative Service (IFAS). Capt Sailo was Assistant Political Officer in Taliha of Subansiri Frontier Division (NEFA) when he undertook this tour (from January 21 to March 29 1957). That is long ago, and all these years, the local Tagin population have been dreaming of a road, … and China was dreaming that the road will never come to be. Here are some excerpts from Capt Sailo, the intrepid IFAS officer’s tour. (Note that two years later, the first clash occurred in Longju near Migyitun). The location of LIMEKING vis a vis the international border has been determined. The exploration of the SUBANSIRI westwards of LIMEKING upto the international border beyond Lower NA settlements has been completed and the confluence of the SUBANSIRI and the YUME CHU has also been ascertained to locate at Mo 4691 and not at MO 6593 as shown on the existing quarter inch map. Having determined the precise location of the confluence of the SUBANSIRI and the TSARI CHU which locates at MO 6892 and not at MP 1097, the TSARI CHU valley has been explored upto the international border with MIGYITUN settlements. A sketch map of the area has been prepared with estimate of the locations of villages or settlements, the courses of rivers, mountains, and important routes. Names of various villages with population figures have also been established as far as possible. The exploratory tour has been carried out with the policy friendly border relations with the people across the border and friendly relationship has been developed with the people of Lower NA and MIGYITUN settlements. 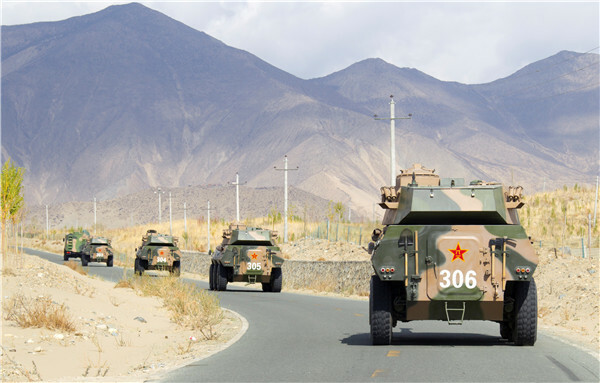 Reliable and confirmed informations regarding the Chinese activities across the border have been obtained during the course of the exploratory tour. 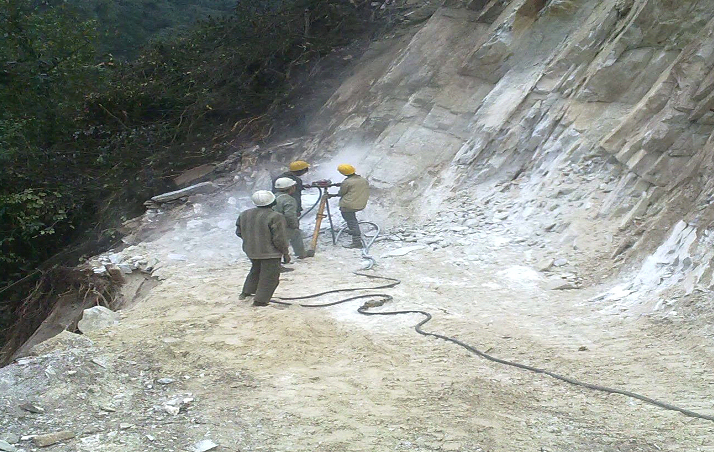 The exploration of the upper SUBANSIRI and the TSARI CHU Valleys up to the international borders has enabled proper assessment of the administrative setup required for the Tagin area and checkpost for the integrity of our international border on the SUBANSIRI sector. After completing the exploration of the upper SUBANSIRI region, the village lying in the area between the KODUK and the SEBAR rivers on the left bank of the SUBANSIRI which have so far been unexpected have been visited on the return journey to TALIHA. The urgency and importance of constructing roads from DAPORIJO to the border settlements of Lower NA and MIGYTUN cannot be over-emphasised. In view of the more favorable nature of the country, it will be easier and more economical to open our main line of communication along the right bank of the SUBANSIRI starting from DAPORIJO right up to Lower NA settlements which is roughly 150 miles and another road on the left bank connecting TALIHA to NACHO about 48 miles. To start with, we may aim at mule track between DAPORIJO and TALIHA and the rest porter tracks. Between DAPORIJO and LIMEKING, it will be possible to construct roads and bridges by using local man power but tools, implements and other necessary stores will have to be arranged. For want of human habitation beyond LIMEKING on the routes to Lower NA and MIGYITUN settlements, labours will be a problem and the lower Tagins, at present will be most unwilling to operate in the higher region due to its cold climate and the difficult nature of the country. The solution may lie in posting one platoon of Assam Rifles pioneers at LIMEKING to work up to GELENSHINIAK and two sections of Agency Service Corps each at TAKSING and LONGJU to work downward to GELENSHINIAK as supply dropping can be easily done at TAKSING and LONGJU. If emergency dropping can be done at a place known as GADUBO, about 5 miles from GELENSHINIAK on the way to Lower Na, it will be very convenient and save lot of troubles in portering rations and other equipments. GADUBO locates approximately at MO 6589 and it seems to be suitable for temporary camping ground. About 4 miles from GADUBO, there is a place known as RICHIDEN which has a route on the left bank of the SUBANSIRI connecting LANGIN on the TSARI CHU Valley, approximately 4½ miles from GELENSHINIAK. The route is followed during the DOLO pilgrimage and it might be better to align MIGYITUN trace from RICHIDEN and avoid the difficult portions between GELENSHINIAK and LANGIN. At present we have no proper staging huts even between DAPORIJO and LIMEKING and great inconvenience is being experienced for movements in the SUBANSIRI Valley. It is essential that staging huts are provided at least on the route between DAPORIJO and LIMEKING. Along with the construction of staging camps, the question of providing camp Chowkidars should also be taken up. The following are suggested places for construction of staging huts. LIMEKING, being only about 70 miles which can be conveniently covered in 7 marches, should now be reduced to 7 stages and the existing porterage payment of Rs. 26/- (for 13 stages) be cut down accordingly to Rs. 14/- at the rate of Rs. 2/- per load per stage. The question of constructing staging huts on the left bank route may also be examined when we establish administrative centre on the left bank. Apart from several rivers to be bridged along the routes, construction of reliable suspension bridges over the SUBANSIRI will be required for easy contact with the left bank at the points near DAPORIJO, TALIHA, AENGMORI, NACHO, GELENSHINIAK and LOWER NA. My article China playing with fire on terrorism issues appeared in the Edit Page of The Pioneer. China is gambling. In this dangerous pursuit, Beijing can lose its stakes and more. It believes that Masood Azhar, the Jaish-e-Mohammed chief and Pathankot terror attack mastermind, does not qualify to be listed as a ‘terrorist’ by the UN; his case “does not meet the Security Council’s requirements”, says Beijing. At the same time, when convenient for the communist leadership, the peace-loving Dalai Lama is branded as a ‘terrorist’. Beijing probably believes that it is its responsibility to block Azhar’s name, and this, at a time when China, one of the five permanent members of the 15-nation Council, assumed the rotating presidency of the UN Security Council (for April). Though the UN banned the JeM in 2001, Azhar who masterminded the 2008 Mumbai terror attack has always been ‘protected’ by China’s veto power. In the long run however, it is doubtful if the gamble of defending terrorism will pay for Chinese President Xi Jinping. Moreover, ambiguity on what constitutes ‘terrorism’ could only bring serious troubles to China, which has not hesitated to put the Dalai Lama on the ‘terrorist’ list in the past. In December 2015, Zhu Weiqun, the Chairman of the Chinese Ethnic and Religious Affairs Committee told The Global Times that the Dalai Lama “exposed in his very bones, his sympathy or endorsement for Islamic State.” In an interview, the Tibetan leader had merely said that one should listen to the youth joining the IS to understand their motivations. 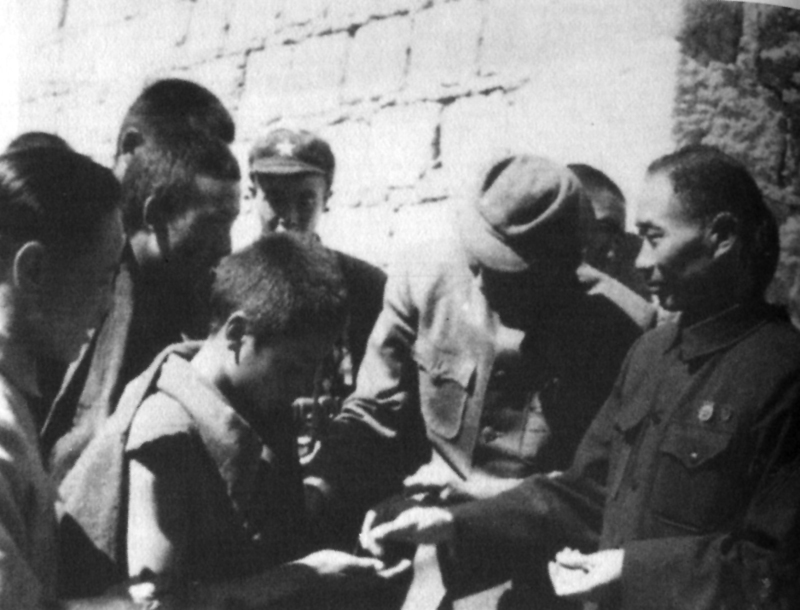 Zhu went on to say that the Dalai Lama has “never given up violence in his political way of life”. According to Zhu, he has been inciting Buddhist Tibetans to self-immolate. Ironically the Tibetan monk had told La Stampa, that Islam was a ‘religion of peace’. Today, for China, the Dalai Lama is a terrorist and Masood Azhar is not. In what kind of world are we living? Reuters commented: “The attempt to identify the Dalai Lama as an Islamic State sympathiser also follows weeks of taunting on the part of IS, beginning in earnest with a full-page spread in the jihadi organisation’s magazine, Dabiq, announcing the beheading of Chinese hostage Fan Jinghui.” The IS had then released its first Mandarin-language jihadi ‘song’, urging Chinese nationals to join them in Syria and Iraq. To club the Dalai Lama with jihad may not help Beijing to combat true terrorism. But, if Beijing is blind enough to equate the Dalai Lama and Masood Azhar, this could have serious implications for the future of the Middle Kingdom, not only for its restive provinces of Tibet and Xinjiang, but also for Xi’s mega ‘dream’ project of a China-Pakistan Economic Corridor. In April 2015, as President Xi arrived in Pakistan, The Washington Post remarked: “Xi arrived in Islamabad bearing real gifts: An eye-popping $46 billion worth of planned energy and infrastructure investment to boost Pakistan’s flagging economy.” A Chinese dream for Islamabad? The CPEC will eventually link up Xi’s two pet projects, the New Silk Roads (one road one belt); the Chinese-sponsored port of Gwadar on the Arabian Sea will be connected through the Karakoram Highway, to the Xinjiang Province in China’s Far West and Central Asia… and later Middle East, Africa and Europe. The ‘corridor’ will have railways, roads, optical fiber cables, dams (to produce the necessary electricity), pipelines, etc. Observers are aware that Beijing’s kindness and generosity will ultimately and primarily benefit Beijing. Pakistan, China’s ‘eternal friend’, is the perfect ‘partner’ (or vassal? ); it is geographically ideally positioned with an access to the sea in the south and to Central Asia in the north. By buying Pakistan’s allegiance, Beijing believes that after linking the belt and the road, it will be able to control and dominate Asia. Before he arrived in Islamabad, Xi wrote that the bilateral relationship ‘has flourished like a tree growing tall and strong’. It is very touching, but China should realise that it may not get only ‘good things’ from the project. For the terrorist groups, the doors to Xinjiang, already prone to Islamic fundamentalism (fired by Han chauvinism), will be wide open. The populations around some of the CPEC’s nodes are already resentful of the Chinese; this could rapidly fuel more terrorism. For Pakistan, the value of the planned projects, if implemented, would be equivalent to 17 per cent of Pakistan’s 2015 gross domestic product. But has Islamabad (or Beijing) taken into account the gross domestic terrorism? By refusing to list Massood Azhar, Beijing has already lost a battle. And it is really foolish for China to think that it can ‘purchase’ some of the terror leaders, like the CIA did with the Taliban decades ago. Everyone knows what happened to the US schemes. He further said that it was unfortunate that the UN was still unable to define terrorism. If it wants to play a significant role on the world scene, it is time for China to learn the definition of ‘terrorism’. Perhaps, during his forthcoming visit to Beijing, Defence Minister Manohar Parrikar could explain this to the Chinese leadership. My article Tibet is learning the tricks of democracy appeared in The Daily Mail. The ballots have spoken. Lobsang Sangay, the incumbent Tibetan prime minister, has been re-elected as ‘Sikyong’ (Political Leader) to lead the Tibetan refugees during the next five years. In the old days, the State Oracle would speak to the ‘Spiritual Leader’, that is, the Dalai Lama, and give him directions on how to conduct state affairs. Now times have changed, and though some might miss the past democracy is more fitting for a modern state - so the Dalai Lama decided in March 2011. The uncontested leader of Tibet thought that the time had come for Tibet to become an ordinary democracy led by a leader chosen by the people, instead of a divine incarnation ruling by virtue of his birthright. It was a great move from the Dalai Lama - and it annoyed Beijing immensely. The current Chinese leadership does not believe in democracy. Though the Communist Party rules on behalf of the ‘people’, the masses’ participation is absolutely unwarranted. The official results will only be declared by the exiled Tibetan Election Commission on April 27, but private websites give Lobsang Sangay 33,234 votes, while his opponent Penpa Tsering gets only 24,752 in his favour — out of some 90,000 registered voters. The beauty of democracy is often the anti-incumbency factor against politicians in power. But things are different in Tibet, where there is immense respect for the established hierarchy. In fact, many believe that the Dalai Lama had to ‘force democracy’ down reluctant throats. 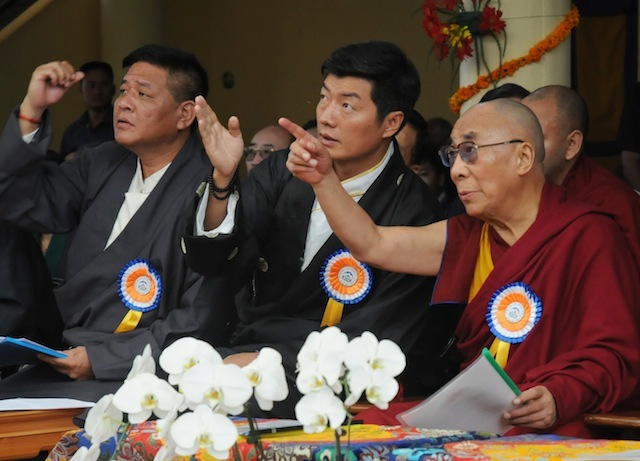 During the recent campaign, Tibetans realised the not-so-nice aspects of the process. This probably explains the reaction of Professor Samdhong Rinpoche, the first directly elected prime minister. He told a Delhi newspaper that he boycotted the election process because the campaign had moved away from the ideals. “The exiled government was based on the principles of Swaraj of Mahatma Gandhi. It didn’t involve competition or opposition,” he observed. Well, democracy is democracy, with its good and bad intact. The Dalai Lama laughed when he asked the two candidates during an audience: ‘How is the boxing match’? At the end of the campaign, out of the blue, Dicki Chhoyang, the Canada-based minister of information and international relations, resigned and declared her intention to vote for Tsering. In her statement, she enumerated ‘some personal character traits’ which she considered important for the Sikyong. Her list was interesting: Motivation and dedication to the collective interest, the ability to think holistically and with long-term vision, to be honest, a team player, to value substance over appearance, etc. Was the incumbent prime minister lacking these qualities? Now that the people have spoken, one can only hope that the entire community will unite around the new Sikyong. True, everything is not perfect in the exiled Tibetan society, but where does a perfect society exist? A few days after the final vote, the Dalai Lama spoke of the deplorable health conditions in some Tibetan settlements in India, and asked the new administration to provide better care and services to them. “Feel-good appearances will not help. That will be empty glory,” he added. Another area the Sikyong will have to take a serious look at is the happenings in Tibet. Dissensions have recently appeared in the Chinese leadership. The South China Morning Post reported that Zhu Weiqun, the interlocutor of the Dalai Lama’s Special Envoys and a hardliner on Tibet affairs, has been accused of taking huge bribes “to grant approvals for people to become Living Buddhas”. The Hong Kong daily quotes an overseas Chinese website, Bowen Press, which believes that Zhu is under investigation for allegedly granting the status of ‘Living Buddha’ (reincarnated lamas) in exchange for cash. If proved true, this is a big development. 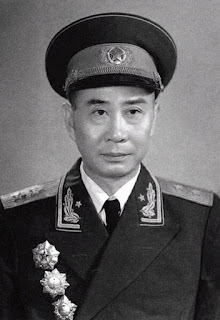 Zhu, after all, had advocated that the Communist Party was the sole authority to decide the reincarnation of the Dalai Lama and pledged to strictly follow policies. In many fields, the Chinese leadership is steps ahead of Dharamsala. Take the flooding of the plateau with mainland tourists, which has irreversibly changed the ‘Roof of the World’. More than 50 million annual visitors have been the pretext for expanding border infrastructure - hurriedly constructed railways, roads and airports… all leading to India. The new leader will have to be able to take up these issues with New Delhi and Beijing. The fact that the Dalai Lama has ‘imposed’ a democratic system is important for India. It corresponds to India’s value system. It should definitively be encouraged by Delhi, and with the Dalai Lama getting older, it is crucial to have a solid interlocutor, someone who can speak on behalf of the Tibetan community and have influence in Tibet. Will Lobsang Sangay fit the bill? Only the future will tell.